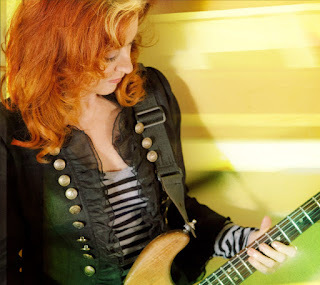 For an artist who gets name checked so many times as a source of inspiration, the work of Bonnie Raitt hasn’t crossed my path in the past as often as it should have. However following the release of last year’s Grammy winning album SLIPSTREAM and the UK leg of a worldwide tour to promote it, great strides have been made to rectify the situation. Although a strong counter attraction existed in the presence of Neil Young at the nearby LG Arena, there was barely a spare seat to be seen in the Symphony Hall as Bonnie and her band set about answering the question in her own words ‘whether she still has it’. Nearly two hours later, the multiple standing ovations after the main and encore set firmly gave a positive response, which probably was never really in doubt. The influence and widespread appeal of Bonnie’s talent lies in the way she effortlessly glides across the genres of American roots music without settling into any formulaic groove. The term Americana sits very neatly within the realm of Bonnie Raitt although within few minutes into the performance she referenced the term as a ‘little discourteous’ to the origins of much of her music – the African continent and the British Isles. However towards the end she lauded the movement of the same name which has done so much in recent years to keep great roots music alive. Of course Americana was the category which saw SLIPSTREAM earn Bonnie her tenth Grammy and this excellent album was well represented in the batch of songs played during the evening. The carefully selected tracks from it conveyed the sheer quality of the record, from the opening number ‘Used to Rule the World’ through to Dylan’s ‘Million Miles’. The personal highlight of those chosen was the Louden Wainwright/Joe Henry composed ‘You Can’t Fail Me Now’, although this one was run close by ‘Marriage Made in Hollywood’ which had featured input from Paul Brady in its writing. The whole evening was awash with Bonnie referring to artists she had worked with, covered or just held in great esteem including James Taylor, John Hiatt, Elvis Presley and a special reserved mention for Mick and Keith. She admitted to not being a prolific songwriter and added an impromptu version of Taylor’s ‘Rainy Day Man’ to the encore set amongst a host of other tunes penned by some of America’s finest including the wonderful ‘Angel from Montgomery’. Whilst being a John Prine original, Bonnie emotionally dedicated this version to her mother. A consistent blues theme existed throughout the evening, although this was probably best exemplified when organ/keyboardist Mike Finnigan took over vocals for a sensational version of ‘I Got News for You’. In sync with the blues style, Bonnie indulged in a little bit of Philadelphia soul and also proved she could really rock n’ roll with a closing number previously made famous by Elvis ‘A Big Hunk o’ Love’. In between, the ballads showcased Bonnie’s voice at its best including the delightful ‘I Can’t Make You Love Me’ which was recently revived with a version by Adele. Bonnie, now in her sixth decade, heaped continual praise on her band led by guitarist George Marinelli and containing a rhythm section of James ‘Hutch’ Hutchinson on bass and Ricky Fataar on drums. However much of the attention surrounded Mike’s outstanding keyboard/organ sound which provided the backdrop to so many of the songs. 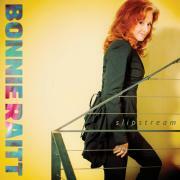 Despite the immense pride in the success of SLIPSTREAM, Bonnie knew the expectations of songs from her forty-year back catalogue with ‘Something to Talk About’ and the self-penned ‘Come to Me’ being amongst those well received. With this first long awaited taste of seeing Bonnie Raitt live, it was obvious to witness why this consummate performer has inspired and influenced so many artists that have followed in her footsteps. There was ample evidence that plenty more is yet to come and she is sure to remain a leading light for those artists engaged with furthering the cause of Americana music.